Arabbix was the world's first Arabic Live-CD (run-from-CD) distribution that showcases Arabeyes' and others' accomplishments and results - it includes most of the applications an Arab user might require or need. Arabbix was not only intended to attract new users and to cement the virtues of Open Source and Linux as a fully functional Arabic desktop medium, but was also hoped that it will engrave into people's hearts and minds. Rate this project BlackArch Linux is an Arch Linux-based distribution designed for penetration testers and security researchers. The project's latest snapshot, BlackArch 2018.06.01, introduces many new tools, replaces the Midori web browser with Chromium and includes several bug fixes. 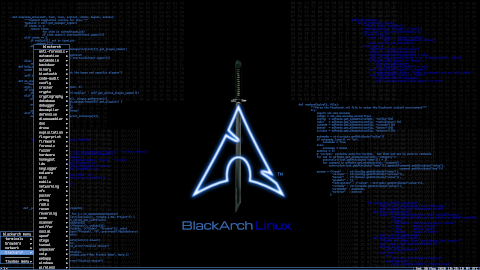 "Today we released the new BlackArch Linux ISOs and OVA image. This is a high quality release. Here's the changelog: added more than 60 new tools; added configuration files for i3-wm (BlackArch compatible); network stack tunings (sysctl + tuning.sh); added pacman clean-up script (consistency++); switched to terminus font (console, LXDM, WMs, X terminals); replaced alternative browser Midori with Chromium; many clean-ups and tweaks; renamed ISO file name; fixed Awesome window manager quit/exit issue; fixed system group and user failures; fixed kernel module load failures; updated BlackArch installer to version 0.7 (bug fix + many improvements); included Linux kernel 4.16.12...." Further information can be found on the project's blog page. Download (SHA1, pkglist): blackarch-linux-live-2018.06.01-x86_64.iso (7,648MB, torrent), blackarch-linux-netinst-2018.06.01-x86_64.iso (570MB, torrent).